How would you feel as a reader about the direction of a series when the author introduces a brand new character? This is the question that Kristine Kathryn Rusch presents in the third book of the Anniversary Day Saga of the Retrieval Artist Series. I have read and review the nine previous books in the series that features the main characters of Retrieval Artist Miles Flint and the Moon’s Chief Security Officer Noelle DeRicci. I will admit I have grown fond of both characters throughout the series and had some trepidation in reading A Murder of Clones that did not feature either one of them in the novel. A Murder of Clones introduces Earth Alliance Frontier Marshall Judita Gomez as the main character of the novel. She launches with her team an unauthorized investigation into a case about the murdering of clones that connects it to the Moon’s Anniversary Day bombings. Marshall Gomez and team learns more than they bargained for with the investigation. It will put everyone’s careers and lives into jeopardy as they get closer to the truth about those bombings. Also, they uncover a truth about the Earth Alliance that is unsettling to everyone. 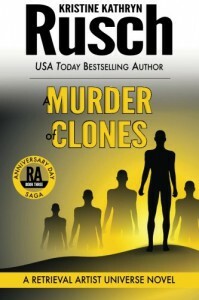 As she has done for the entire series, Rusch creates a solid science fiction thriller with complex twists and turns that keeps you guessing right up to the end of the novel. While, I did not warm up to Marshall Gomez like I did with Flint and DeRicci in The Disappeared, the first book of the Retrieval Artist Series. Gomez has the potential to be a well-written and fully-drawn out character as the Anniversary Day Saga continues towards its conclusion. Also, it does bring a freshness and vitality to a long running series that could be written on autopilot with a skillful storyteller like Rusch. Murder of Clones is still more of a transition book in the series and it could be read as a standalone. However, I would suggest that new readers start with Anniversary Day and continue with Blowback to get the full scope of this saga. 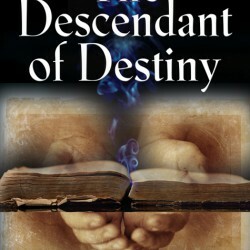 I highly recommend this novel and looking to Book Four of the Anniversary Day Saga, Search and Recovery.